1. PHP originally stood for Personal Home Page. 2. PHP which is now officially known as ‘Hypertext Preprocessor’ was released in the year 1995. 3. Initially written as a set of Common Gateway Interface (CGI) in ‘C’ (1994). 4. PHP was originally designed to replace a set of Perl scripts to maintain Personal Home Pages (also known as PHP). 5. PHP was originally created by Rasmus Lerdorf in 1995. He wrote the original Common Gateway Interface (CGI) binaries. 6. Zeev Suraski and Andi Gutmans, two developers at the Technion IIT, rewrote the parser in 1997 and formed the base of PHP 3. 7. PHP 3 was officially launched in June 1998. 8. Suraski and Gutmans rewrote the PHP 3’s core, producing the Zend Engine in 1999. They also founded Zend Technologies in Ramat Gan, Israel. 9. On May 22, 2000, PHP 4, powered by the Zend Engine 1.0, was released. 10. 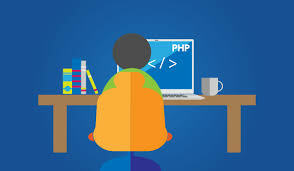 The main implementation of PHP is now produced by The PHP Group and serves as the de facto standard for PHP as there is no formal specification. 11. On July 13, 2004, PHP 5 was released, powered by the new Zend Engine II. PHP 5 introduced full-featured object-oriented programming support. It was there in PHP 3 and PHP 4 but only the basic features. 12. PHP is free software released under the PHP License, which is incompatible with the GNU General Public License (GPL) due to restrictions on the use of the term PHP. 13. PHP was originally designed to create dynamic and more interactive web pages. It is the most widely-used, open-source and general-purpose scripting language. 14. It is possible to use PHP in almost every operating system. PHP can be used in all major operating systems including Linux, Microsoft Windows, Mac OS X, and RISC OS. 15. PHP uses procedural programming or object oriented programming and also a mixture of them. 17. 75% of Web 2.0 sites are built in PHP. PHP is used by 81.7% of all the websites whose server-side programming language we know. 18. There are about 5 million PHP developers worldwide. 19.The latest release of PHP till now is PHP 7. 20. Some of the biggest online brands, such as Facebook, ProProfs, Digg, Friendster, Flickr, Technorati, and Yahoo! are powered by PHP.